I’m not a big fan of breakfast, especially a big, hearty one! Ugh! I would much rather have a Diet Coke and something chocolate! Mr. on the hand, breakfast is his favorite meal. The sad part of this is, I don’t fix him breakfast in the morning. Don’t get me wrong, I love this man dearly, but he leaves for work anywhere from 5:00 am to 6:30 am. (depending on what time he wakes up) And me getting up at this ungawdly hour and cooking him breakfast just isn’t going to happen! No, nope, nada. So I make him the next best thing. 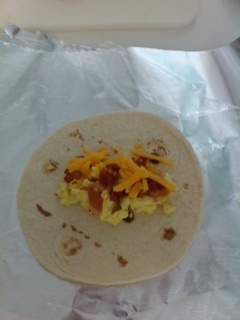 Mini breakfast burritos in the freezer he can pop in the microwave on his way out the door. 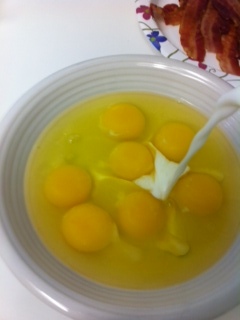 Add milk to eggs and whisk until well-beaten. Add salt and pepper. 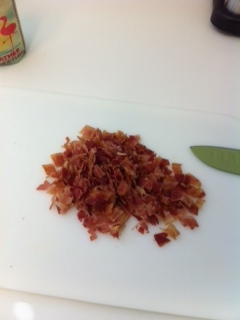 Chop bacon into small pieces and grate the cheese. 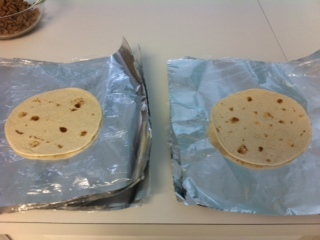 Once everything is ready to assemble, I stack the foil, plastic wrap and tortillas for quicker assembly. 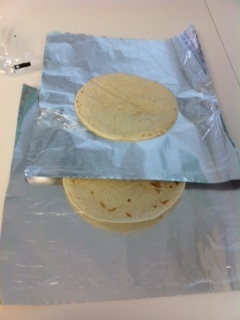 Foil on bottom, plastic wrap next, and then one tortilla on top. Repeat. I stack them five high. 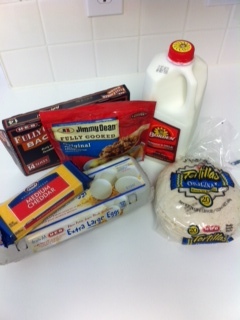 All the burritos have egg and cheese in them, just the meat is different. Some of them are bacon only, some are sausage only, and some are bacon and sausage. 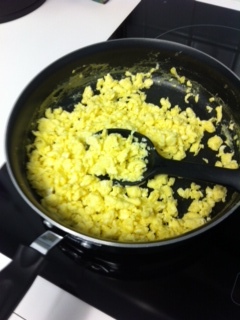 Fold in sides, fold in half over the top and tuck under mixture and roll! I am by no means an expert at rolling these things! Some roll up easy and others have the ingredients spilling out everywhere! 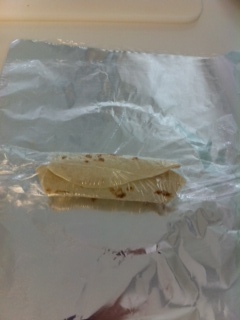 Wrap with the plastic wrap and then the aluminum foil. 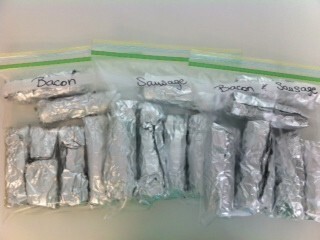 Label each freezer bag accordingly, place burritos inside and freeze. When you are ready to eat, remove foil and plastic wrap, wrap burrito in a paper towel and microwave for 1 – 1 1/2 minutes, or until hot. 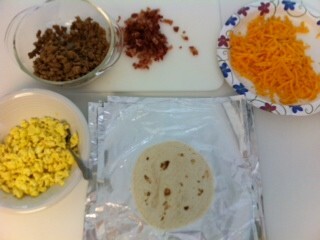 This entry was posted in Recipes and tagged bacon, breakfast burritos, diy, recipes. Bookmark the permalink. Yay!! So easy and convenient!